Long Beach offers many attractions for visitors but along with all the fun sometimes comes trouble when excessive drinking is involved. The Police Department in the city is diligent about enforcement of the laws relating to traffic and vehicle code offenses and has a special team of officers devoted to the interdiction of drunk drivers. Anyone arrested for DWI in Long Beach should consider consulting a local attorney who can navigate the individual through the confusing and frustrating process of obtaining a DMV hearing to save their drivers license and appearing in a Court for the criminal charges. There is a general confusion regarding the steps that need to be taken following incarceration for a DUI. Many are unfamiliar with the procedures concerning the DMV and how they can take your license before any Court action. Speaking to a lawyer can help to ease the anxiety associated with your case. Local DUI lawyer Matthew Ruff has 20 years experience fighting criminal cases such as driving while under the influence and he knows the local Court like the back of his hand. He can be contacted to discuss your options relating to the DMV and he can also appear in Court on your behalf if you do not live in the area. The Long Beach Police a Department is unique in that they use a different breath machine than any other agency in the county. They have their own crime lab and therefore are not reliant on the LASD for breath machines or blood alcohol testing. 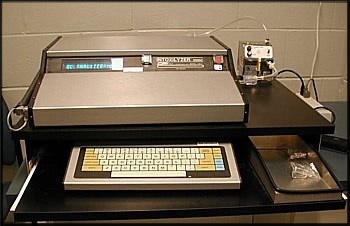 The machine they use is the Intoxilyzer 5000 which is an older machine compared to the technology currently out there. The machine is prone to error, particularly when it comes to interference from mouth alcohol such as burping or belching. Attorney Matthew Ruff has personally tried cases where he has shown the machine was inaccurate and they have resulted in acquittals. As a seasoned defense lawyer he possesses a very fine tuned skill set for attacking blood alcohol testing methods and exposing the unreliability of field sobriety tests used by law enforcement.